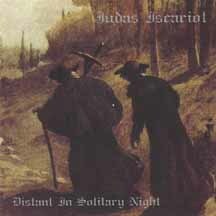 Judas Iscariot was an American black metal band, originally called Heidegger, formed in 1992 as a solo project of Andrew Harris, who performed under the pseudonym Akhenaten (after the Egyptian Pharaoh of the same name). However, with the release of Heaven in Flames (1999), Duane Timlin (aka Cryptic Winter) joined the band as a session drummer. From 1999 to 2000, Akhenaten twice performed live with a line-up featuring members from Nargaroth, Krieg, Absu, and Maniac Butcher. As is common for the genre, themes often directed against religion and explored a fascination with nihilistic philosophy. After relocating to Germany, Akhenaten announced the demise of Judas Iscariot on August 25, 2002. Buy it if you like it ! !